How to set up the weather forecast? – Customer Feedback for YunaSoft Inc. 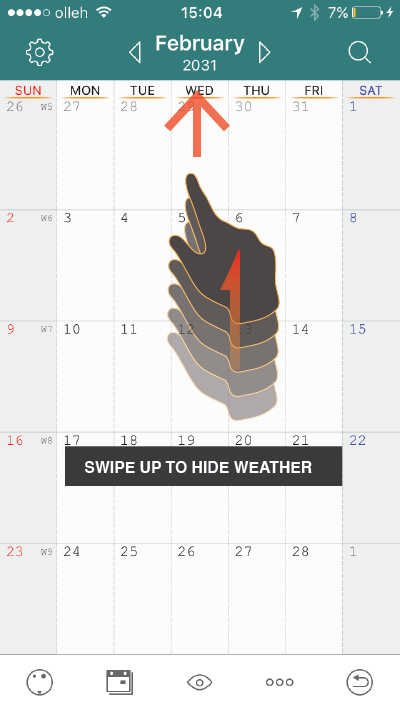 Hide and Show weather section. 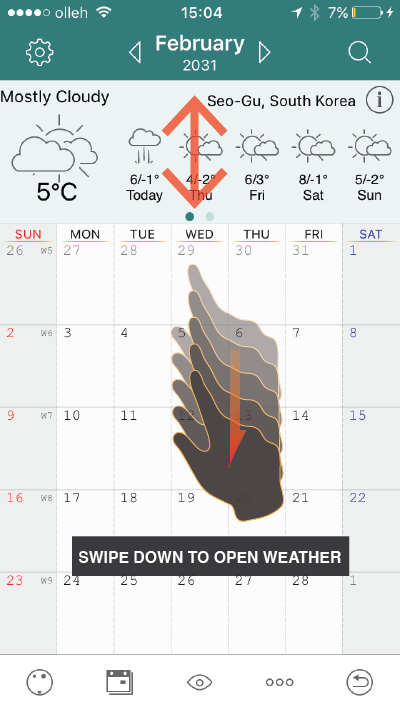 Simply swiping down and up the month view you can show and hide the weather forecast. 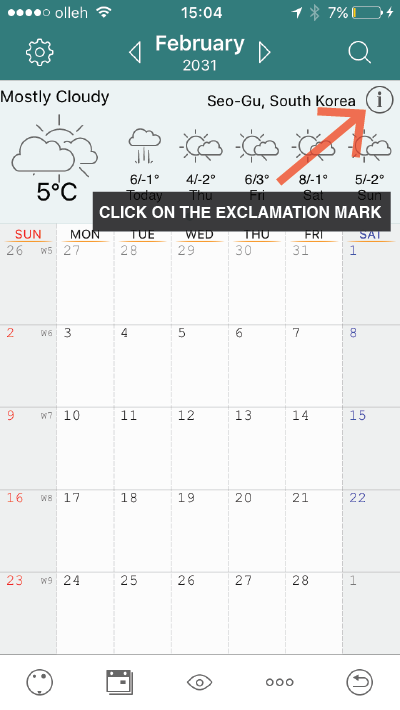 Click on Exclamation mark at the right upper corner within the weather section. 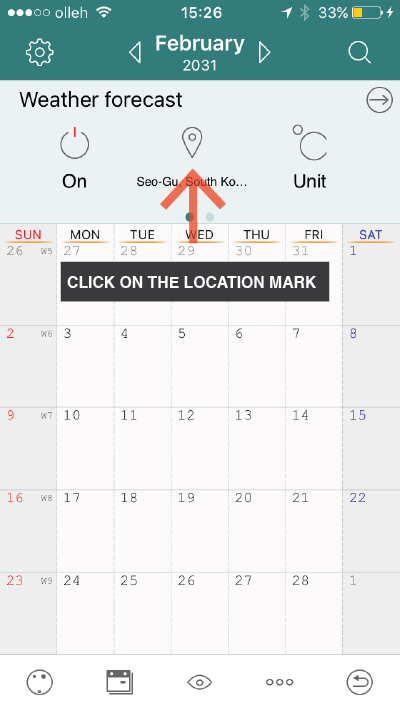 Select location mark to set your location so then it will show search page. 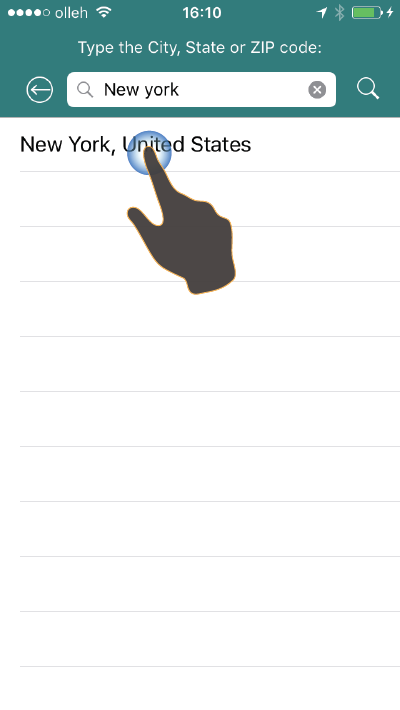 Type the city name or ZIP code to search your location and click on the correct one if there are more then one result and click the back arrow button at the right upper corner to go back to the month view.